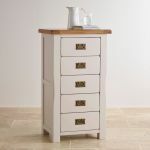 A gorgeous solid hardwood tallboy which will bring a rustic country feel to your living room, or bedroom. 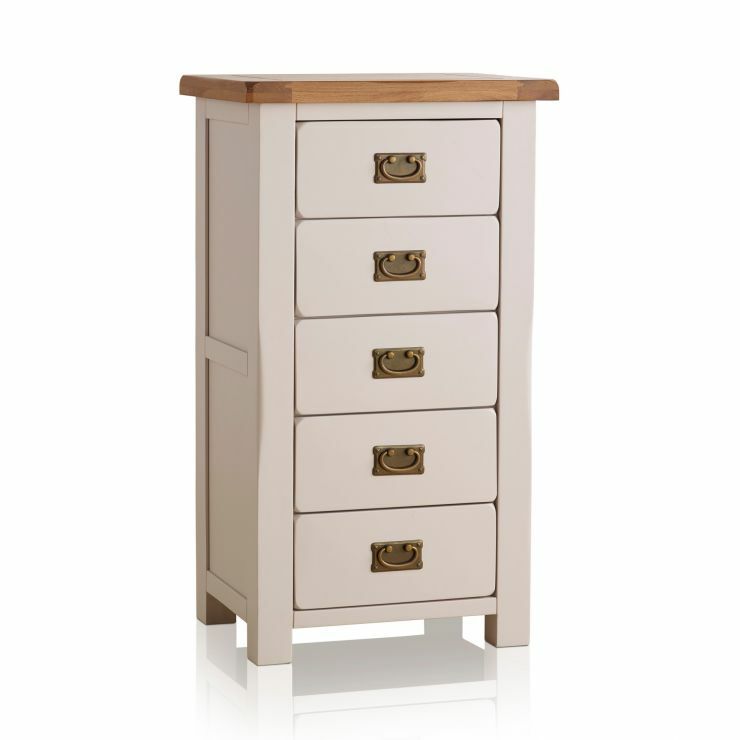 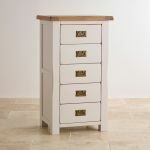 Our Kemble Rustic Solid Oak and Painted chest of drawers is made with solid oak tops with a 100% solid hardwood painted base in putty with lavender undertones, complete with metal drop handles. 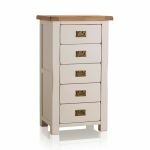 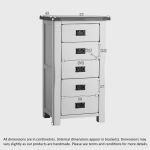 Dovetail joints and wooden backs, bases, and runners also ensure built-in strength for this practical piece of furniture.